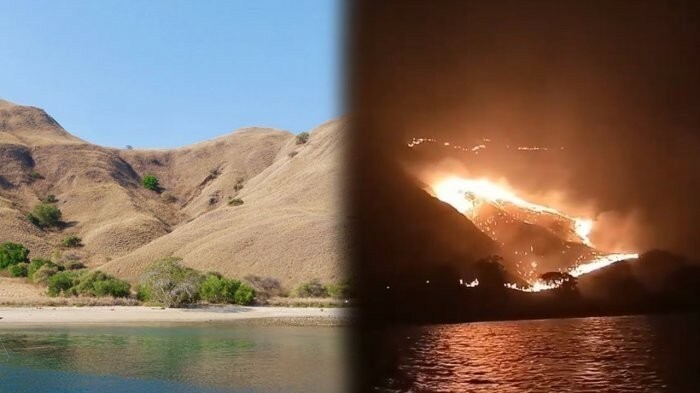 The government plans to limit the number of visitors to Komodo National Park in East Nusa Tenggara in a bid to maintain the ecosystem’s stability following a fire that razed hectares of savanna in the famous tourist destination. The park, which has been listed as a UNESCO World Heritage Site, has welcomed a growing number of tourists both from Indonesia and overseas. However, the influx had caused several environmental problems impacting the natural landscape of the park, the Environment and Forestry Ministry’s director general for natural resources and ecosystems, Wiratno, said, adding that the fire was one of them. Piles of garbage left behind by tourists also caused damage to the national park, he added. Ministry data show that 10,250 people, 95 percent of them being foreigners, visit the Komodo National Park monthly. That number stands in stark contrast to the 130 people assigned to manage and monitor the park. “More than 10,000 visitors every month is very much. We will limit it to 5,000 per month, probably,” Wiratno said, adding that he would issue a directorate general decree regulating the matter by the end of this year, after conducting some studies. Once the new regulation is in effect next year, people planning to visit the park will need to register online, with signups limited by a daily quota.